Tearing away the nation’s attention from the Rio Olympics is no small feat, but one plucky dude managed to do just that yesterday by scaling part of the Trump Tower in Midtown Manhattan. The man clung to the building’s exterior for hours, making his way up more than 10 floors before being pulled in through a window by police. The climb dominated the broadcast and social media news cycle, with many people wondering just what the hell he was up to—you know, besides climbing. Was it a publicity stunt, or an ill-advised audition for The Apprentice? Was the man trying to demonstrate that if Donald Trump couldn’t keep people from climbing one of his many phallic symbols, he would not be able to secure our borders? And, perhaps most importantly, was that Supernatural bro Jared Padalecki decked out in suction cups? We don’t currently have the answers to the first two questions, but Padalecki quickly put the last theory to rest. 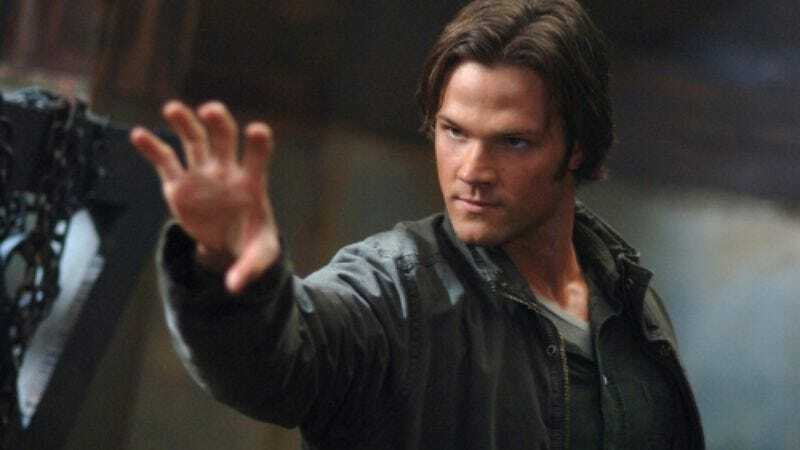 First, the actor acknowledged that the climber did bear a resemblance to him, but he distanced himself from the shenanigans by referring to the guy as “Bizarro Jarpad” in a hashtag. New York police have not released the man’s name, but he’s reportedly from Virginia, and was seeking Trump’s counsel on some matter. But the GOP’s presidential candidate (yes, we shuddered once again, too) could only bring himself to spare a single tweet on the matter. Hey, at least he didn’t call the guy a loser.